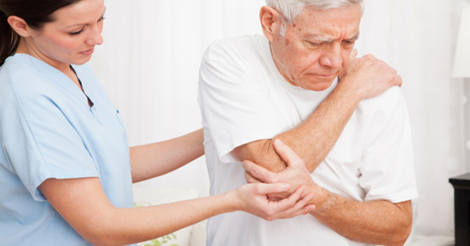 Pain management in patients with dementia is challenging. Although selfreporting is considered to be the gold standard for pain assessment, patients with dementia can find it difficult to verbalise their pain due to memory problems and communication difficulties. This is part two of a two-part article. What can be used to manage pain? This is part two of a two part article. Part one can be read here. Pain can be particularly distressing for those with dementia; loss of insight means that pain may not be understood or rationalised.6 Each time pain is experienced, it can feel like the worst pain ever, as previous pain experience is not recalled. Pain not only affects the patient’s quality of life, but can cause distress for carers; impacting on their emotional and psychological wellbeing. A key principle in establishing the nature and cause of pain is to rely on how the patient reports the pain. However, self-reporting is difficult for those with dementia who may not be able to verbalise their pain experience.3 Such observational features have prompted the creation of assessment tools to identify and grade pain in patients with dementia. Examples of validated tools are outlined below. The PAINAD scale is one of the most evaluated and effective observational pain tools for use in patients with dementia.8 There is good internal consistency between those utilising the PAINAD scale and it has proved to be reliable.8 The scale is intended for healthcare professionals and assesses five key areas: (i) breathing, (ii) negative vocalisation, (iii) facial expression, (iv) body language and (v) consolability9 as indicators of pain (Table 1). The Abbey Pain Scale was created for healthcare professionals to assess pain in advanced dementia.11 It has six areas of pain assessment: (i) vocalisation, (ii) facial expression, (iii) change in body language, (iv) behavioural change, (v) physiological change and (vi) physical change.12 Each domain has a grade of severity from absent to severe (0–3); a total score of 3 or above indicates pain.12 A summary of the main characteristics of the scales discussed is shown in Table 1. A randomised trial, specifically focusing on pain treatment in an elderly population with dementia, demonstrated that a step-wise pain treatment protocol, adapted to the patient’s needs was successful in significantly alleviating pain.20 A simple three step analgesic pain ladder was utilised: (i) paracetamol (less than 4g), (ii) morphine prolonged release/low dose buprenorphine patch and (iii) pregabalin for suspected neuropathic pain.20 Paracetamol proved to be a good first-line choice in patients with dementia and was associated with no adverse events.20 Physical function improved in those prescribed paracetamol.20 This trial illustrated that a simple stepwise protocol for analgesia was beneficial and tolerated well. Both preparations are safer than morphine in patients with renal impairment. NICE recommends that a palliative care approach is advisable for patients with dementia.14 The GSF prognostic indicator guidance can help generalists identify when palliative care should be involved.21 When patients are no longer able to swallow, as part of the natural dying process, it is important that their pain control is still optimised and subcutaneous medication may be needed with the use of a syringe driver. The specialist palliative care team can help ensure that symptoms continue to be controlled. Pain management in patients with dementia is challenging. Although self-reporting is considered to be the gold standard for pain assessment, patients with dementia can find it difficult to verbalise their pain due to memory problems and communication difficulties. 8. Ellis-Smith C, Evans C J, Bone AE, et al. Measures to assess commonly experienced symptoms for people with dementia in long-term settings: a systematic review. BMC Medicine 2016; 14: 38. doi: 10.1186/s12916-016-0582-x. 20. Sandvik RK, Selbaek G, Seifert R et al. Impact of a stepwise protocol for treating pain on pain intensity in nursing home patients with dementia: A cluster randomized trial. Eur J Pain 2014; 18: 1490-1500.